Vinyasa Krama, otherwise known as ‘moving by numbers’, is the tradition of practicing asana in a flowing sequence connected harmoniously by the breath. Krama means ‘a step’ or ‘in stages.’ It also means to learn the postures one by one, observing the correct order. Vinyasa Krama was also a phrase used by Professor T. Krishnamacharya to convey two different, though complementary approaches. The first he called Vinyasa Chikitsa, a therapeutic method of movement providing the steps needed to accomplish an Asana - as dictated by your individual constitution. The second he called Vinyasa Shakti, a method by which he counted numbers to a group so they could follow the movement patterns precisely and consistently. The first method is about tailoring the practice to suit the individual. The second is about fitting the individual to the practice. Both have possible drawbacks and advantages. 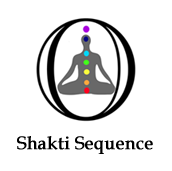 The five sequences displayed in my book (of the same name) are interconnected asana practices in increasing order of difficulty. Vinyasa Krama is also my attempt to provide useful and interesting Asana variations to practitioners and teachers of any tradition, age or ability. These flowing sequences, guided by the quality of your breath, will bring balance to your regular practice, particularly if it has become stale, painful, or incomplete in some way. They will inspire and guide your practice to new heights, bringing fresh light and awareness to each and every moment. Developing your Asana practice with Ashtanga Vinyasa Yoga does not usually follow a straight line. The traditional sequences are usually taught one by one, and the postures one by one in the order you practice them. It is obvious that due to both body types and other conditions some postures are easier and some are harder, but never exactly in the standard order you practice them. For example, for many students the postures in the middle of the Primary Series, such as Marichyasana D, are harder. For some, the back bending postures at the end are harder, and for others the jump backs are the hardest. So the question is, how effective is it to teach the postures in a strict order? If different body types and other factors mean we integrate the postures in a different order and at different rates, is it best, or even possible, for all students to learn in a standard way? If not, what variations are acceptable? Of course most of us accept that there is a general standard to the Primary series: the order of the postures, the Vinyasa between postures, how to breathe and where to look. This standard necessitates teaching the sequencing by following the basic order. The question is by how much? My professional stance is that when you practice Ashtanga Yoga you should make a fair attempt to do those sequences without variations within them. Rather than altering the sequence as it is, it is preferable to add a whole new sequence. This series was created by Matthew Sweeney. It is a gentler practice for ashtangis on Full Moon and New Moon but Hatha yoga practitioners can also benefit from it. It is a gentle though dynamic flow of postures based on slow, calm breathing. It emphasizes on the hips and gradually move towards backbends postures and ends with relaxation postures and savasana. After moving through the postures, the body feels awake and the mind is calm. This series starts with lion-salutations, then the practitioners move to standing postures which emphasizes on the stability of the hips. The sitting postures are a preparation to the Lion pose and the series ends with backbends, counter-poses, pranayama and Savasana. 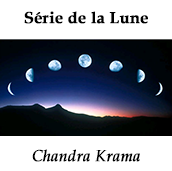 This series can be also taught during self-practise classes. 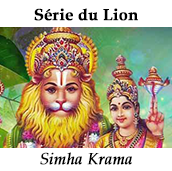 Renan is certified by Matthew Sweeney, to teach Simha Krama, the lion sequence. Vinyasa yoga is a dynamic practice based on breathing. 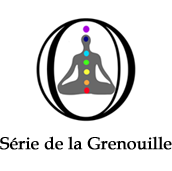 It shares its principles with Ashtanga yoga but it differs in the diversity of the series it offers. I give theme-based courses, based on a specific posture or an Indian god/goddess for example. In each series the main pose is thoroughly detailed and explained while focussing on its origin and the energy it diffuses. 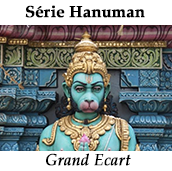 The legend says that Hanuman, the monkey god, disciple of Rama, jumped over the ocean to Sri Lanka to go and get the only remedy that could save Laksmana. The posture called Hanumanasana comes from this legendary jump. The sequence stars with a sun-salutation preparing to the posture. Then the practitioner moves to several adaptations according his or her level, and which makes the legs more flexible and aligns the hips. Little by little the split gets better and we will later practise a more advanced salutations. The sequence ends with deep breathing. This series helps the students develop their strength and flexibility with patience and perseverance. Hamsa is a mythical swan and is the vehicle of Brahma. It embodies purity, detachment and spiritual accomplishment. This series is a preparation to the swan pose. Little by little the legs, the back and the shoulders are stretched and stronger. Then the adaptations allow the student to practise the pigeon pose which is more advanced. Next come the counter-poses in order to stretch the body again and eventually to relax. 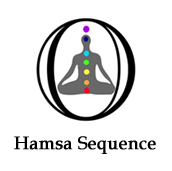 The series ends with a specific pranayama according to the metaphorical meaning of the Hamsa sequence. The stretching and flexibility of the spine is the main principle of this series. After the sun-salutations which set the breathing and open up the body, the postures will start with the stretching of the back and then a series of twisted postures adaptations. The student will then move to backbends which prepare the back to backbendings and variations of dhanurasana (the bow). The series ends with some recovery, inversions, counter-poses, Pranayama and Savasana. This series awakens and focuses the energy while developing the spine’s strength and flexibility. The lord of the dance is radiant with beauty and diffuses a sense of well-being all through the body and the mind. 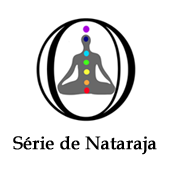 This series is based on the Nataraja “ cosmic dance” that is, the cycle of creation and destruction of the world. It was designed to be gradual : first preparation of the body, then Nataraja pose with its variations and a time then for recovery and relaxation. This series develops the stability as well as the flexibility of the spine and the shoulders. It requires focus and poise, and can improve strength and balance. The students will practise the variations he or she needs according to the skill-level in order to feel the energy of the posture. This series offers an original way of working on the opening of the hips. Its postures work on the lower back and on the flexibility of the inner legs. Though intense, this work is also gradual and adapted to any student thanks to the variations they can practise. The sequence has a stimulating and happy effect on the mood. The frog is patient and optimistic !